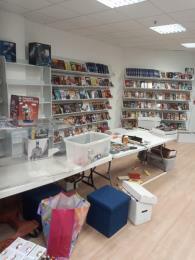 Come along to The Comic Guru in our new location on Saturday 30th March to meet with authors from popular Welsh publishers Candy Jar. The award-winning independent publisher Candy Jar's range runs from children's fiction through to war memoirs - but they are perhaps best known for their Lethbridge-Stewart series: as one of the only non-BBC official Doctor Who products out there, the series has attracted an international readership, and it is currently celebrating Brigadier Lethbridge-Stewart's 50th anniversary. We'll have Alyson Leeds, whose debut novel entitled Fear of the Web is based on old Doctor Who story, The Web of Fear; Michelle Briscombe with The House on March Lane, a book about two women who become friends despite living a hundred years apart; and Cherry Cobb author of Will's War, a time travel adventure that transports its main character back to World War II London. 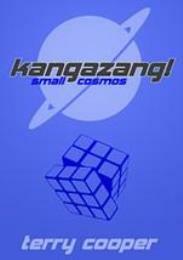 Terry Cooper, author of the sci-fi comedy Kangazang! Small Cosmos, and director of the Welsh independent film, Offworld, will also be attending. All of these outstanding authors will be situated at the front of store so you can meet them, ask questions about their work and collect signatures. 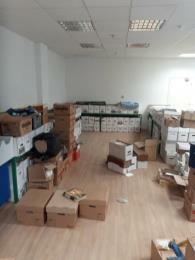 Ladies and gentlemen Comic Guru is proud to announce that we have started to receive new comics again. If you want to see whats arrived then check out the left hand tab marked New In Store This Week and check out everything thats available. Standing orders have now resumed. Good news from the new Comic Guru towers. 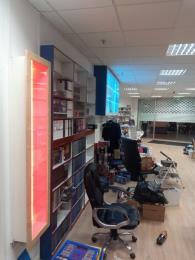 We are approaching the final stages of our move to Unit 7 Queens Arcade, Cardiff. CF10 2BY. We guesstimate that if we can get enough stuff on the shelves we will be having a dress rehearsal reopening for Monday 28th of January with our official opening Saturday the 2nd of February. Its been a hard road but with 99% of the shops furniture now in place and the website repairs completed yesterday evening all that remains is the mammoth task of getting the rest of our stock out of storage and filling up the shelves. I am hard at work on that task with a small but dedicated group of volunteers who should be placed in a museum. Thats how priceless they really are. There have been numerous issues with this move that have delayed things however we are effectively back open for business. The telephone number was put on but its not our proper number due to a screw up from Plus Net during the set up phase. Our original number should be going live very soon. We received three of the parcels posted out just before we moved from our old premises so there will definitely be people who will need to speak to me to resolve this issue. Lots of fine tuning to do and I will be putting a proper walk through of the new shop via our Facebook page so people who only shop with us from afar can see it. Its a huge shop which means that we can now display our entire back catalogue of over a hundred thousand issues on the main shop floor. This will definitely improve our response times in finding any websales and improve our service accordingly. I really hope everyone has had a wonderful time over Christmas and the New Year and despite Brexit will have a prosperous one as well. Kristian Barry last survivor of the Nostromo. LOL. We today moved the rest of the body of the shop to Queens Arcade in Cardiff for storage until we could take Vacant Possession of our new store on the 24th of December. 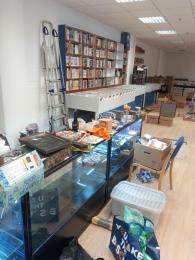 Sadly a pop up shop had nipped in as we were negotiating with the landlord. Not the end of the world. We have managed to get 99 percent of our websale orders completed and posted already. We have two or three left but we cannot get to these until we have begun sorting through our stock during the intervening period. We promise to keep our website running however if there are delays please bear with us. Things will return to normal shortly. Sadly our address in Wood Street, Cardiff is being demolished and we have been forced to flee. LOL. 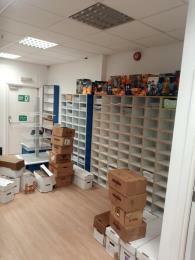 The new shop is three times as large as our current one and should see us becoming the largest comic shop in Wales. Its that time again.Comic Guru would like to invite you to its Annual Birthday Bash! On Saturday 13th of October we will be celebrating our 16th Birthday with Champagne substitute, food, wine and a huge Sale. This will sadly be the last time that we will be able to throw this party at the current address as the landlord has sprung a new revised leaving date for us, which was sometime before December 2019, which is what we had been informed of in the past. 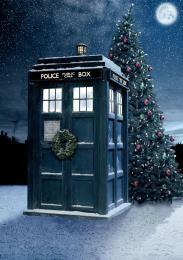 It is likely that we must now leave before December 2018. Obviously we need to maximise the cash the shop has so we need all our standing order customers to empty their boxes over the next few weeks as that will be the money we will use to look for new premises. I am investigating compensation from our landlords but we have to continue forward as if there is no possibility and create the funds from this event going forward. I hope you will all be able to attend as it will be nice to raise a glass and toast Comic Guru on Wood Street one last time. Speaking for myself I will miss this place. On the day the sale will be open to all Members past and present and any friends or family they want to invite. More the merrier. Although the party will be starting at 7.30 pm the sale will run through the whole day and anyone unable to attend will be able to ring the shop and purchase either their box or any other items over the phone. If you empty your box then you will get 20% Off. If you spend up to £200 pounds you will get 25% Off. Spend £500 pounds then you will get 40% Off. There are those out there who have a significant amount of stock in their boxes. Please please please empty your boxes and pick up your standing orders. Without you doing that I may not be able to raise the necessary money to move the shop and we would end up having to close our doors permanently. If that were to happen I would literally be homeless within a few weeks and I am sure that none of you would really want to live with that on your conscience. More importantly there is a lot of good reading in there which you wouldn't want to miss. All the best, Kristian Barry and the Comic Guru Team. Just a quick word about our phone system. As some of you know we have a screening service on the line to cut down on nuisance phone calls from PPI sellers etc. Recently however I have been told that the system tries to connect some and if there is someone already on the line it says that you cannot be connected and says goodbye. If you ever get that response you haven't been blocked you've simply rung while I am already on the line. Just ring back later or the next day and with luck can be dealt with immediately. Due to a snafu regarding the delivery this week Diamond informed me last night that they couldn't send out my orders until Monday for delivery on Tuesday. This is understandably annoying as its a huge catch up order. Please keep an eye on the website Monday evening to see what will be arriving on Tuesday. Apologies and Enjoy Avengers Infinity War this weekend. Its superb. Remember we have a huge selection of Infinity, Thanos and Avengers comics so check out the website. As you do I was pottering about the house on my annual leave and decided to unpack a few boxes left over from when I moved into my house 9 years ago. LOL. I uncovered a small cache of treasures including a number of Gerry Anderson Space Precinct Action Figures. 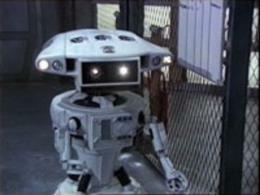 For those in the know Slomo was one of the better Robots produced by Anderson and a fan favourite. For a short time I am leaving them at their orginal £4.99 RRP and they will be available on the website under Space Precinct 2040 Action Figures. Just use the search bar to find them. Comic Guru is introducing its own Blind Box for Christmas! Order the Primary box and any additional boosters and we will send you a selection of comics and merch which will be a third of the value that has been paid extra at no cost. For instance for every ten pounds spent you will get £3.50 worth of free comics/collectables. The more you spend the more extravagant the items included will become. Ring the shop if you have any specific requests and favourites in terms of characters and concepts. Remember to order the Primary Box first before adding any boosters.